Iron Fist the well known martial arts super hero is to be racially retconned into an Asian-american as opposed to the historical Caucasian version. Will this actor play Luke Cage? The character now will be an Asian American who at a young was adopted by a white American family, In order to learn more about his biological roots his family gets him into martial arts. The story of Iron Fist will be how a quest of self exploration leads him to unlocking even more amazing secrets, the secrets of the Iron Fist. This is a fairly risky move by Marvel how do you feel about it? Please debate about it below. Marvel is currently looking at hiring a new Asian martial artist to play the character. They had looked at Ray Park and Ryan Phillipe before they went in this new direction. Who do you think could play the character. 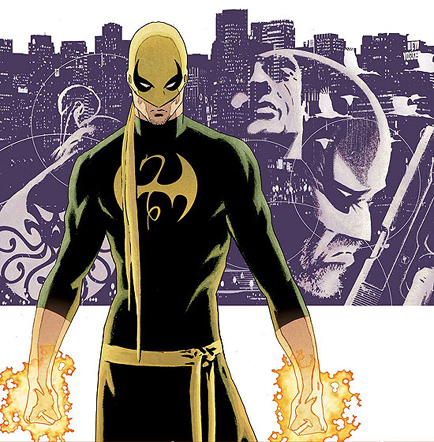 Iron Fist will still likely be played by a white guy. However, if Marvel wants to create some solid big tent pool minority characters they should switch Iron Fist to an Asian character. Does anyone else find the history of using white guys in what really should be an Asian role silly? Last Samurai--He is a white guy? Really? Snake Eyes - Really how did that blonde kid find his way into a obscure, hidden Asian dojo? Kung Fu the Show - David Carradine over Bruce Lee. Really? Over Bruce Lee?! Sometimes like in Dances in Wolves the character does add an interesting perspective to the mix. Lets face it though plenty of times the white guy is just taking the place of a character that would make more sense as an Asian. I am not Asian, but if I was I would be asking Marvel to give me one big character that shares my racial identity and heritage. I know at the end of the day it is about the money. To me personally though I would rather watch a Jet Li Iron Fist over a Ryan Phillipe Iron Fist.